Entering Africa: where is a good place to start? 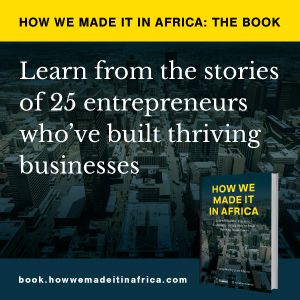 Entering the African market can be quite a daunting task for companies looking to profit from the various opportunities that today’s and tomorrow’s Africa presents, and many have wondered where is a good place to start. With 54 diverse markets offering unique prospects and different challenges, it is a commonly held perception among Africa’s business experts and advisors that it would be foolish to look at Africa as just one market. KPMG, a professional advisory firm with practices in 33 African countries, launched the Global Africa Project (GAP) at the end of 2011, placing Africa on KPMG’s global high growth market investment programme. According to GAP’s chief operating officer, Anthony Thunstrom, the issue on where to enter the African market is a popular one among their clients. Having said that, Thunstrom has identified a number of markets that offer companies a good entry point to expand into Africa. Nigeria: “I think Nigeria for me has to be the standout as the best of the best destination in many ways,” he said. With a population of roughly 170 million people (depending on who is doing the counting) and a growing middle class, Nigeria is a notable market for those looking to target a large consumer base in Africa. According to Thunstrom, financial sector reforms and “the fact that they are cleaning up and reforming the petroleum regulations” have also made this country an appealing market for multinational companies. East Africa: “If you look at it as a bloc, the East Africa Trade Bloc also has a population that is around about a 130/140 million people and it is seen as a kind of easier place to enter the market,” said Thunstrom. He added that while it may be more perception than reality, this bloc is often viewed as being more business friendly compared to other regions on the continent, and this is very attractive to those looking to enter the African space. He added that it is also seen as being an easier place to do business in West Africa and allows companies access to the Nigerian market too. Mozambique: “If you had to ask me where I would be investing nine million in the next five years, to be honest I think in many ways Mozambique would take a lot to beat as well,” said Thunstrom. “Just the extent of development, the pace… if you actually go to Maputo and take a look at how many companies have set up, how hard it is to find accommodation, the number of multinationals that are literally looking for skilled resources from wherever they can get them.” Thunstom added that this business interest and development has been particularly prevalent in the last 12 months. Nevertheless, whatever market a client may decide to enter into, Thunstrom stresses that they cannot do it from overseas. He also doesn’t think that the decision should be simply made after a trip to Johannesburg and a couple of meetings with advisors, no matter who they are.